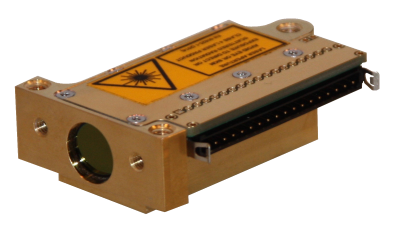 Picosecond lasers are one of the most diverse categories of pulsed lasers available on the market today since picosecond pulses (10-12s) can be generated by q-switching, gain switching, and mode locking. Picosecond pulses can be produced from diode-pumped solid-state (DPSS) lasers, fiber lasers, and microchip lasers allowing for an extensive wavelength range from the ultraviolet through the infrared region. Additionally, this broad range of lasers enables pulse energies in the nJ, uJ, and mJ levels with pulse repetition rates varying from Hz to MHz. The high peak power and short pulse widths of picosecond lasers are ideal for a wide range of applications especially for material processing and machining applications such as laser texturing, trimming, and drilling. Lasers that produce less than 10 picoseconds pulses belong to the category of ultrafast lasers or ultrashort pulse lasers. Ultrafast Lasers are ideal for the cold ablation of any material, including metals, ceramics, polymers, composites, coatings, glass, plastics, diamonds, and PET. Ultrafast lasers can even operate on layered substrates. Cold ablation allows for material to be removed without heating the residual matter. Thus, femtosecond fiber lasers will not produce heat affected zones, splatter, or significant recast. Additionally, these lasers will eliminate the need for any post-processing. The search filters to the left can allow you to better sort through the wide range of picosecond lasers offered at RPMC to find the one which is best suited for your application, or you can talk to one of our laser experts today by calling 1-636-272-7227.